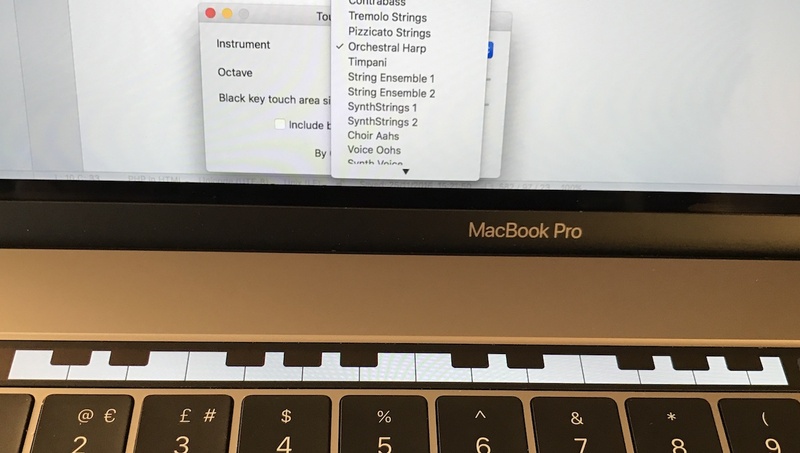 Touch Bar Piano is a piano built into the Touch Bar of your 2016 MacBook Pro. The piano is fully polyphonic and has a choice of 128 different instruments. This app requires a 2016 MacBook Pro with Touch Bar. If you don't have a Touch Bar you can try it out using Touché. Please send queries to graham@utsire.com.